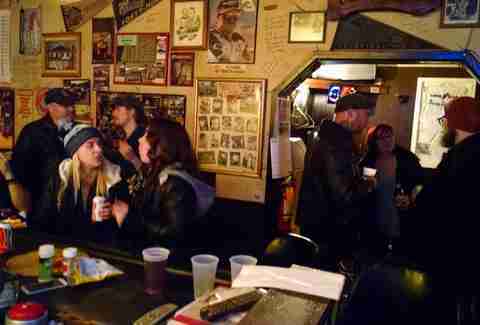 A great dive bar is essentially a good old neighborhood hangout that has some years -- and definitely some stories -- under its belt. It's a place where you'll find the same familiar faces, cheap beer, and some other creature comforts like billiards or a jukebox. 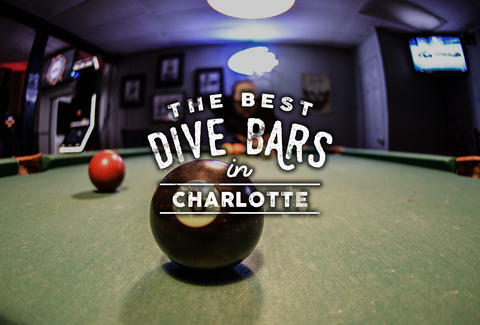 Surprisingly, in between a slew of sports bars and touristy nightclubs, Charlotte has its fair share of tucked-away dives all with one similar philosophy: stay a while, drink beer, and don't be a jerk. 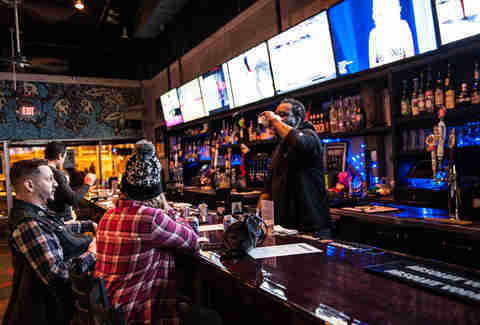 One of the longest-standing bars in Charlotte, this place may not be in its original building, but it’s doing the same thing it’s done since it opened in 1986. As with most dives, the outside is nothing special (it’s hard to tell if the place even has a single window), but the inside offers all of the usual distractions: a game of pool or darts and some cheap canned beer. From each childhood relic to the Nelson, Cash, and Jennings tunes coming from the jukebox, once you get past its orange cinder block exterior and barred windows, you’ll immediately be entranced by all the character (and characters) inside. Aside from cold beer and a page-long bloody mary list, you may be tempted to try a bottle of Johny Bootlegger's "Sing Sing Sour Grape," which co-owner Mark Wilson describes as a cross between grape Kool-Aid with Dimetapp (Mmm... tasty). And, its infamous pickleback shots are made with homemade juice from the bar’s personal “Pickle Lady.” Aside from all the old school country knick-knacks to take in, there’s also a legendary pair of bullhorns covered with bras. 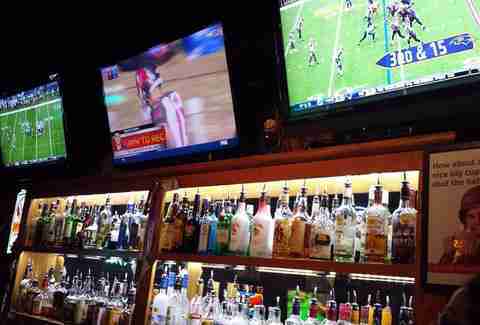 One wouldn’t just stumble into this bar; it’s the kind of place you’d seek out after a word of mouth recommendation. 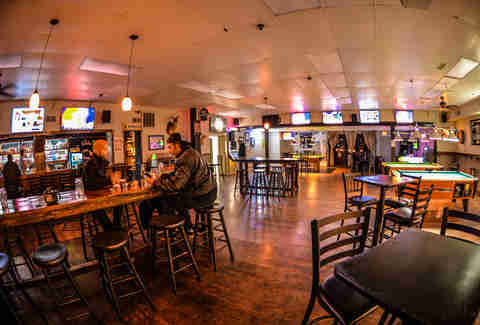 The best way to describe it is an old Southern basement -- from the homey smell, wood paneling, and NASCAR décor, to the ‘90s-style televisions and old fridge behind the bar (where the beer is kept). Some nights, it gets rowdy with a band in the back room; other nights you might be the only patron aside from the owner, who’s sitting on a nearby bar stool eating his supper while catching up with his daughter who’s manning the bar. PS: this is a cash-only establishment, but you'll be just fine with a $10 dollar bill. 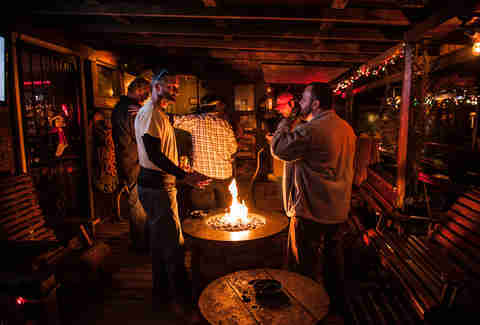 Aptly name, this bar is a second home to the people of NoDa, especially those who live for PBR and whiskey. On any drive-by, you're bound to see the same folks taking a smoke break on the front sidewalk. 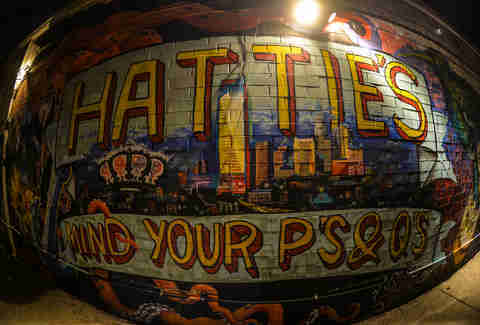 Inside, the walls are marred with graffiti and the general atmosphere is straight up rock and roll. Bonus points for the delicious, greasy food options like wings and fries. Also, it doesn't hurt that it neighbors one of the best live music venues in town. A hidden gem and institution, this is the kind of place Jimmy Buffett would approve of. It's oozing with character from interior to exterior but the beachy outdoor patio wins hands down. From the sanded ping pong area and covered television nook to the cozy fire pits and swinging chairs, it's easy to get lost here on any kind of afternoon. Good for you, the beer is cheap and the crowd is always down for a good time. For starters, this dive is no brodeo and actually has a good male to female ratio. Whether those gals are looking to meet eligible bachelors, that's another story. Aside from the friendly patrons, this place is incredible for several reasons: the enormous covered outdoor patio (which sometimes includes a pop-up taco stand), the rotating draft list chock full of over 20 craft beers (mostly local), and the super cool artsy-vibe. Also, did we mention you can bring your dog? Every night offers a different form of entertainment, from bingo and karaoke to yoga and live music. In true dive bar fashion, there's a cigarette vending machine up front as well as a few dartboards.